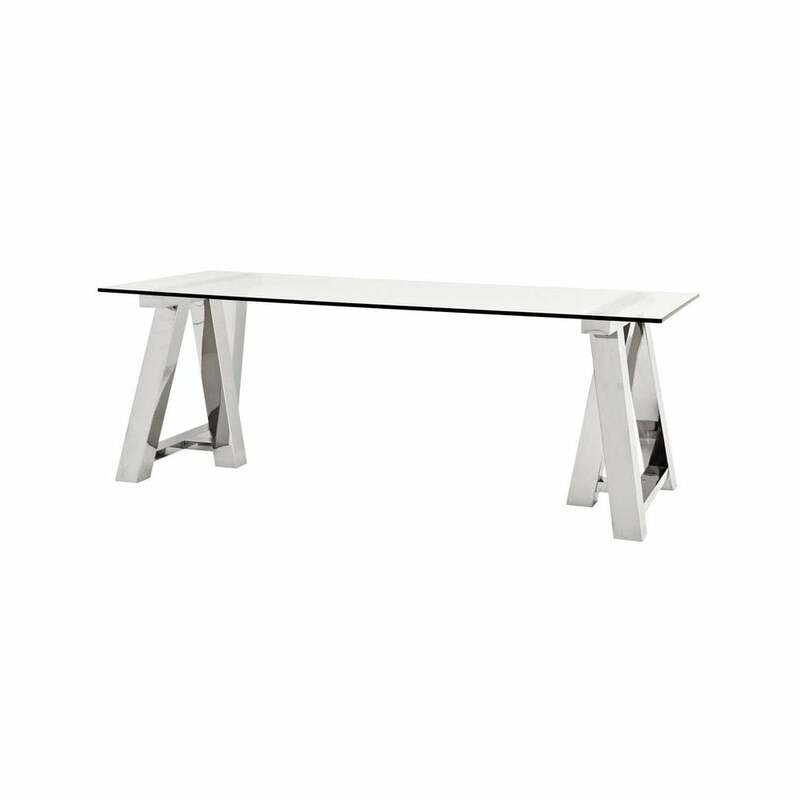 Inspired by New York Loft living, this industrial dining table is perfect for adding a luxury touch to home dining spaces. With a trestle table style base and chunky glass top, the Marathon Dining Table by Eichholtz is perfect for eating and entertaining. The architectural design is crafted from polished stainless steel for a high-shine finish that will create a statement in any home. Celebrating both form and functionality, this modern design will lend itself well to both formal and casual dining.